Ben Nevis is the biggest and most popular mountain in Scotland. Its summit, which is 1345 metres high, more often than not even has patches of snow in the summer, due to its elevation. 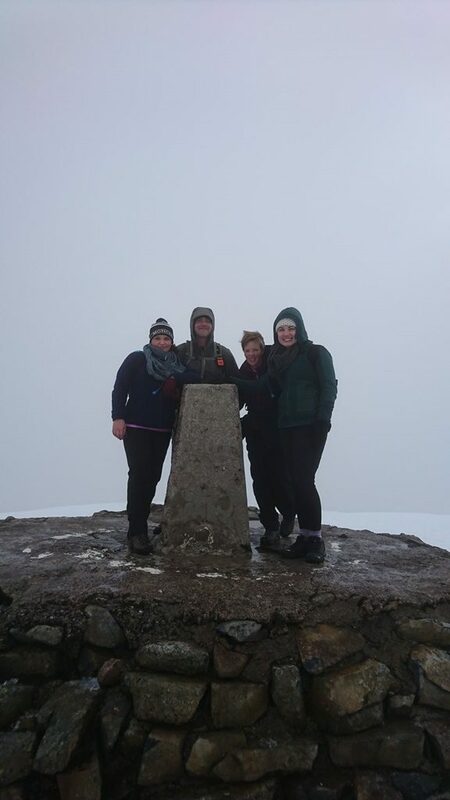 Thistle Trekking try and give you the best chance possible of succeeding in your attempt to summit Ben Nevis. We provide you with a qualified Mountain Leader, who will guide you up the classic tourist path. We also organise your accommodation, so all you need to do is concentrate on the walk itself. Reaching the summit of the highest mountain in the UK. Qualified and friendly UK Mountain Leader. Staying in Fort William, the Outdoor Capital of the UK. This is your chance to get to the start of the holiday by making your way to Fort William. We will have accommodation arranged for you for this first night (either in B&B, Hotel or camp site depending on your preference). This will be pre-paid, so you just need to turn up and tell them your name. Today you will meet your guide at The Glen Nevis Visitors Centre Car Park. This is approximately 3 miles from Fort William town centre. The easiest way to get there is often by taxi, and we will provide you with a list of taxi numbers so you can arrange this beforehand. Sometimes a group transfer is available, please enquire for details if you would like to be added to this. Once everyone has met at The Glen Nevis Visitors Centre the walk up Ben Nevis will begin. The walk is just under 11 miles but with over 1300 metres of ascent it is a strenuous and challenging day. The path is good underfoot and while there is obviously much ascent no scrambling is involved (you will not need to use your hands). You will walk at a slow and comfortable pace with plenty of time to stop and take photos, eat and drink. 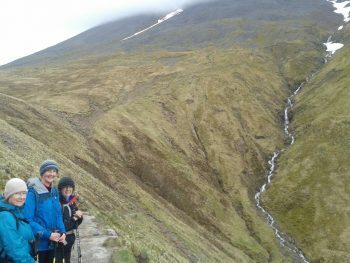 It will take an average of 7-9 hours to complete this walk but be aware that this should be a rough guide only as every group has a different pace. Remember, Ben Nevis is the highest mountain in the UK and so be prepared for some challenging weather. It will be approximately 14 Degrees Celsius colder on the summit of Ben Nevis to the temperature in Fort William. There is often snow at the top, high winds are also likely and so we will provide you with a kit list to make sure you are suitably equipped. While this is certainly a challenging day it is achievable by most people with an average level of fitness and a positive mental attitude. Do expect it to be difficult but it will be an achievement you will never forget. Today it will be time for you to check out of your accommodation make your way home. 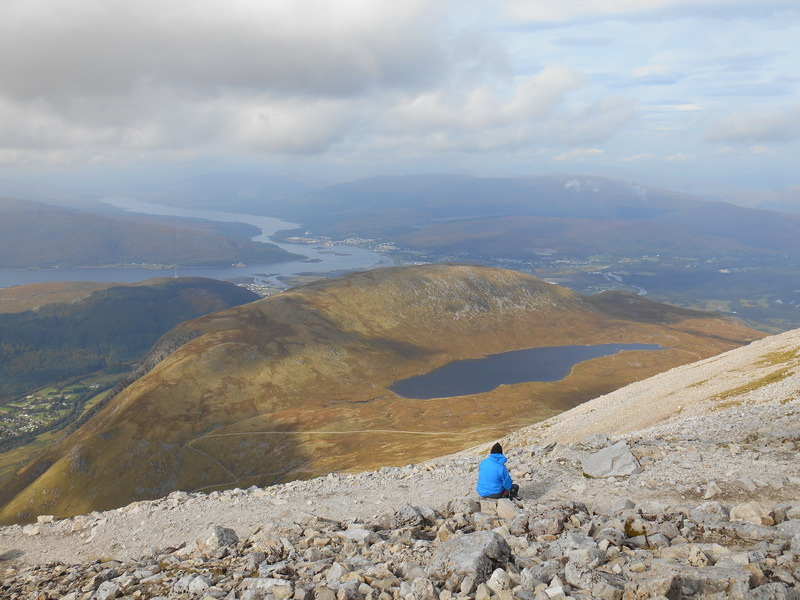 We offer our Ben Nevis guided trek with 3 different accommodation options to suit your needs and budget. The Bed and Breakfast option provides you with B&B accommodation in Fort William with breakfast included within the price of the holiday. This is a great option is you are looking for anyone looking for a small, simple place to stay. 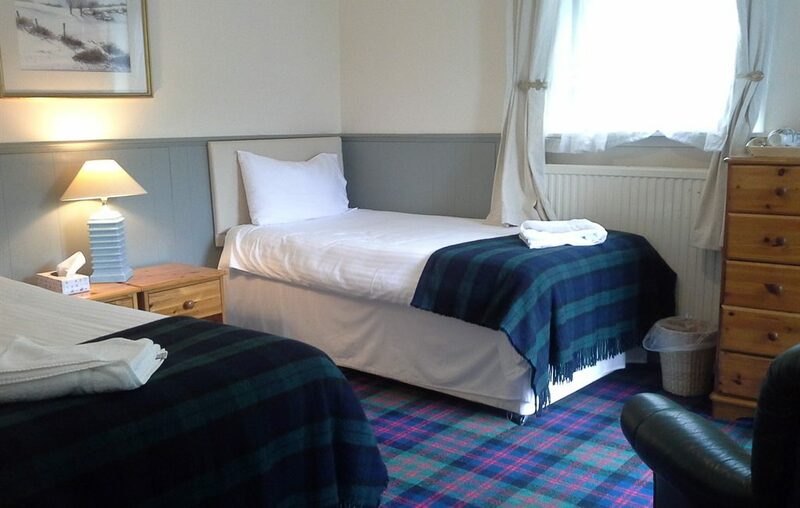 All the B&Bs we use are within easy walking distance of Fort William town centre so you can walk in the evening to the local pubs. If you are looking for some of the higher standard accommodation available in the area then this is the option for you. You will be staying in a hotel or 4 star standard B&B located in Fort William. 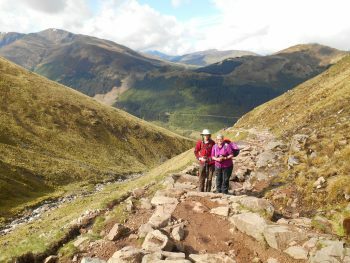 This is the perfect choice is you want to reward yourself with a bit of luxury for your Ben Nevis trek. For those who are living locally, or travelling in a camper van, or perhaps including this as a part of a longer holiday in the area, we offer this weekend without accommodation as well. £140 per person when booking as a two in double or twin rooms. £180 per person if booking as an individual therefore needing single rooms. To book this trip we will require a £100 deposit per person with the rest to be paid a month before your trip. 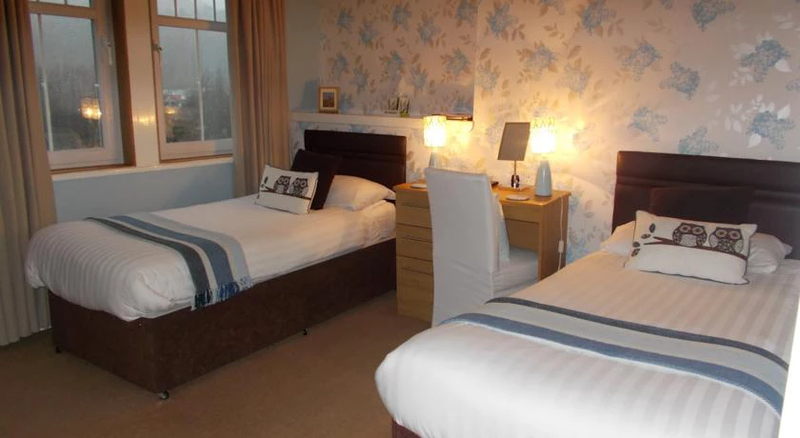 £180 per person when booking as a two in double or twin rooms. £220 per person if booking as an individual therefore needing single rooms. The price for guiding only is £60. This does not included any accommodation with the trek. Our guide will arrange a meeting location a few days before your booking. To book this trip we will require a £20 deposit per person with the rest to be paid a month before your trip. Please choose your dates and accommodation options to see the pricing. 72 people viewed this trek in the last 7 days.